Which? has called on the government to honour its promise to insulate households from Green Deal mis-selling. The consumer watchdog is concerned that “dodgy sales practices” might cause problems for millions of consumers. Faced with the formidable task of selling the Green Deal to the public, however, the government may turn a blind eye to anticipated mis-selling. 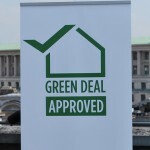 Launched on Monday last week, the Green Deal is the British Government’s flagship environmental policy. The initiative aims to help households afford the cost of installing loft insulation, cavity wall insulation and other energy-saving measures. Unfortunately, the Green Deal may not be an improvement on previous policy, which compelled energy suppliers to help customers (and sometimes non-customers) insulate their draughty homes. The Green Deal shifts this obligation, if it can still be treated as such, to private-sector lenders. Andrew Warren, of the Association for the Conservation of Energy, aptly summarised the situation facing UK households when he explained: “We are moving from a period where people were offered basic insulation at zero cost into a brave new world where you pay the full amount and a full interest rate on top”. The government may already be aware that the Green Deal is not the solution to Britain’s domestic energy problem. In June, the government published a report that predicted the Green Deal would result in a 67 per-cent reduction in cavity wall insulations and an 83 per-cent drop in loft insulations. If the government had been preparing to hard sell its ‘revolutionary’ environmental policy to the British public, news that Which? has questioned the current administration’s fitness to protect consumers from dodgy dealing will hardly inspire confidence in the Green Deal. 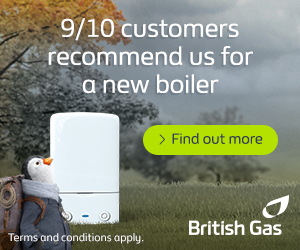 Richard Lloyd, the Executive Director of Which?, said: “We know that energy prices are one of consumers’ top financial concerns, so we support helping people save money and making their home more energy efficient. “However, the government must live up to its promise to protect the consumers from mis-selling and dodgy sales techniques. We will be watching closely to see if people get ripped off. Any poor practice must be stamped out as quickly as possible”. Which? is also concerned about the government’s decision to impose tough penalties on consumers who pay off Green Deal loans early.